The 273 is a medium sized 7.25" long with long 1" teeth. 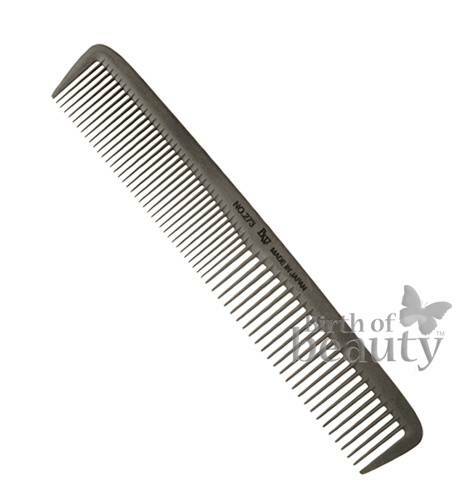 The comb is evenly divided with wide and closely set teeth. The widely spaced teeth allow you to safely detangle wet or difficult hair. All BW's Carbon Combs are lightweight and completely anti-static. The teeth are incredibly smooth so they easily move through the hair without snagging. The Carbon combs are heat resistant, can be sterilised by boiling and also used with a dryer.